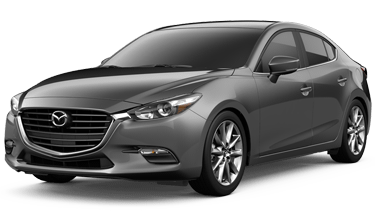 With so many compact sedans to choose from, how do you know you’re getting the best value for your money? We took our new 2018 Volkswagen Jetta and pit it against the 2018 Mazda3, and the results were conclusive. When you factor in the Volkswagen’s superior power and fuel economy, larger trunk and greater backseat legroom, along with the best warranty in America, you too can see why the 2018 Volkswagen Jetta is the superior compact sedan. Come check out a 2018 Jetta for yourself at Carter Volkswagen in Ballard, just 25 minutes from Redmond. Check out our inventory online, and schedule a test drive when you find the Jetta that’s just right for you. The 2018 Volkswagen Jetta offers far more standard features than the 2018 Mazda3. Heated mirrors, LED running lights and alloy wheels — all of which will cost you extra on the 2018 Mazda3 — come standard on the 2018 Volkswagen Jetta. You also get more usable space in the Jetta. Volkswagen gives you nearly three additional inches of legroom in the back seat than the 2018 Mazda3. Factor in the larger trunk and 60-40 fold-down rear seats with trunk pass-through, and you’ll find that the 2018 Volkswagen Jetta is the superior sedan for your family. Come by our Seattle showroom and discover all the features and packages the 2018 Volkswagen Jetta has to offer. With three different sizes of turbocharged engines to choose from, you can get the exact performance you want along with the fuel economy you need from the 2018 Volkswagen Jetta. The base Jetta achieves up to 40 highway MPG, which is more than any 2018 Mazda3 can boast. While the Mazda3’s most-powerful engine option caps out at 186hp, the 2.0l engine found inside the 2018 Volkswagen Jetta GLI achieves 210hp while still managing an impressive 33 highway MPG. For the perfect balance between power and performance, it’s clear that the German-engineered VW Jetta is way to go.